The cruise ship “Costa Concordia” is lying half-submerged on the rocks of Giglio’s isle and has remained so since January 13, 2013, when the tragedy struck, with 4229 people on board, of which 30 died and 2 still missing. The common goal, now, is to remove the boat and keep the sea clean protecting the environment. For this reason, together with technicians and engineers also collaborate researchers of University in Rome and agencies for environmental protection. From the tanks have already been removed more than 2,000 tons of diesel fuel without polluting the sea. Recovery works, divided into 4 phases and which will be lasting six months, have already begun. With the first phase by August, poles and cables will be stuck in the seabed and other poles in the cliff, in order to create a sort of “cradle” made with sandbags and a steel platform. The ship’s keel will be reinforced with steel plates and at the submerged side will be attacked some big and empty boxes. With the second phase, the boxes on the left side will be filled with water, to try to rotate and straighten the ship by pulling the cables. In the third phase, others bins will mount on the right side. Thru the final stage all the bins will be filled with air, to let the ship float and tow it. The large piece of rock of 140 tons, still stuck in the keel, will be removed in pieces and put in its original place as a monument in memory of the tragedy. 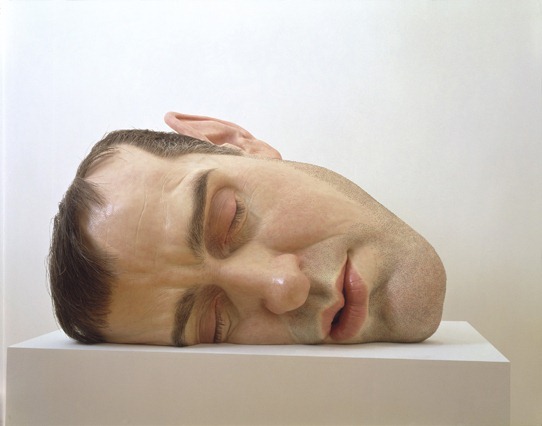 Ron Mueck (born 1958), an Australian sculptor who works in England, is one of the most important contemporary artists of hyperrealism. 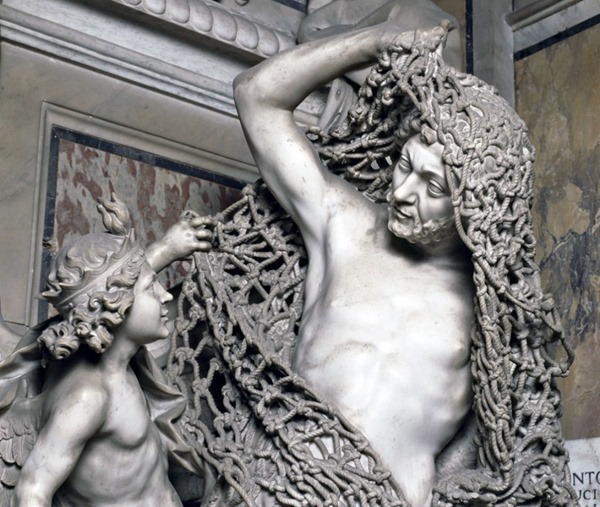 Its huge and incredible sculptures, between the grotesque and the unsettling, have been for a long time on show to the ex-Millennium Dome in London and at Charles Saatchi gallery. His career started as models and puppets creator for film and television (he worked for the movie “Labyrinth”). His company is established then to London to deal with photorealistic and animated objects to the advertising industry. This activity led him to assert that “the photograph virtually destroys the physical presence of the original object,” and that’s why his interest then turned to sculpture. 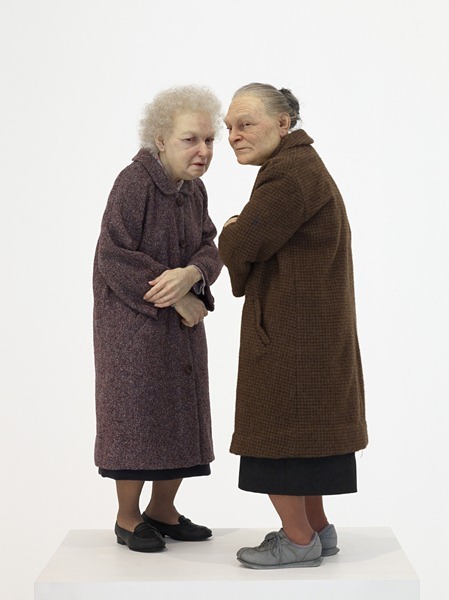 In 1996 Mueck devoted himself to the “fine arts” in collaboration with the mother-in-law, Paula Rego, to produce small figures as part of a tableau on display at the Hayward Gallery. The work entitled “Pinocchio“, amazed so much Rego who introduced him to Charles Saatchi, who, immediately impressed, started to commission him some works. In 1997 Mueck created “Dead Dad”, which bears his name in the limelight as a participant in the exhibition “Sensation” at the Royal Academy. Dead Dad” was nothing but the scaling of his father’s body after his death. 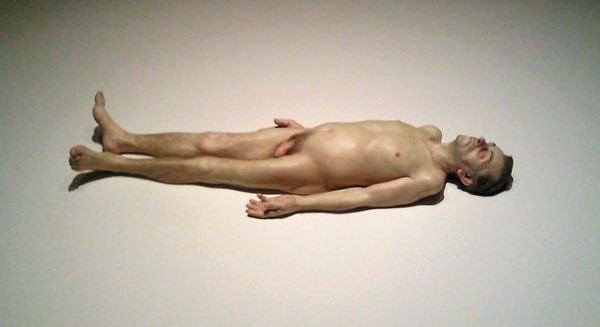 This is the only Mueck’s work in which he used his own hair. Mueck’s works reproduce faithfully every minute detail of the real human body, and playing with scale reproduction transmit disconcerting sensations. 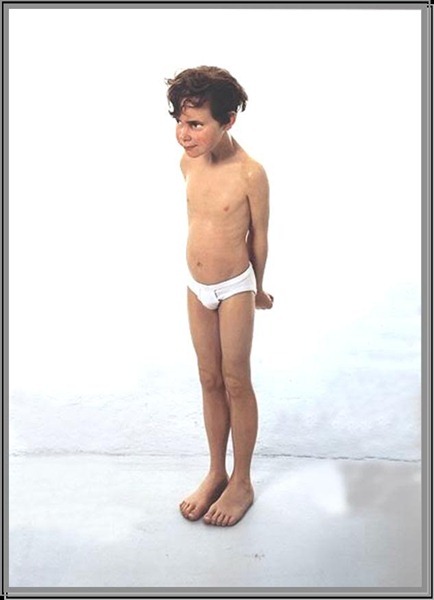 “Boy 1999” five meters high, has characterized the Millennium Dome, then exposed to the Venice Biennale. In 2002, the sculpture, “Pregnant Woman” was acquired by the National Gallery in Australia, for $ 800,000 Australians. 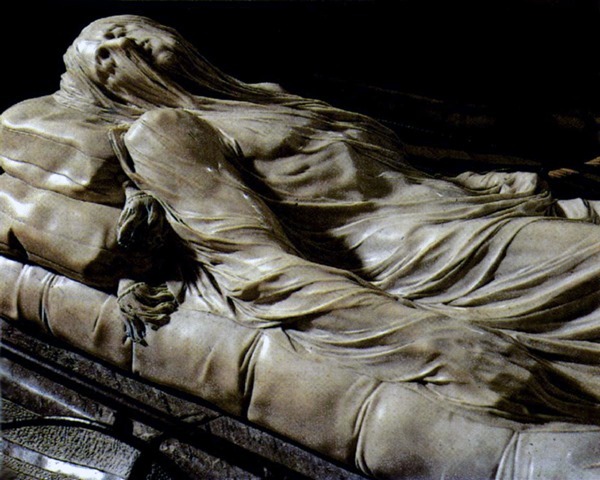 Most of his sculpts show naked and dressed people, while some others, such as the woman “In Bed” of 2005, are covered by fabric. 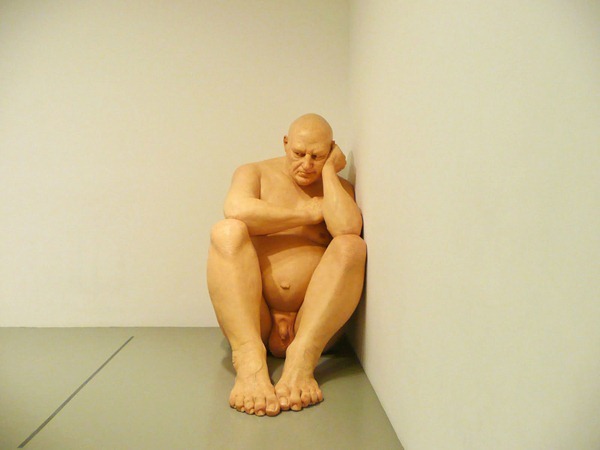 To create his work, Ron Mueck uses resin, fiberglass and silicone. Hair are real (for the uninitiated, human hair can be purchased). 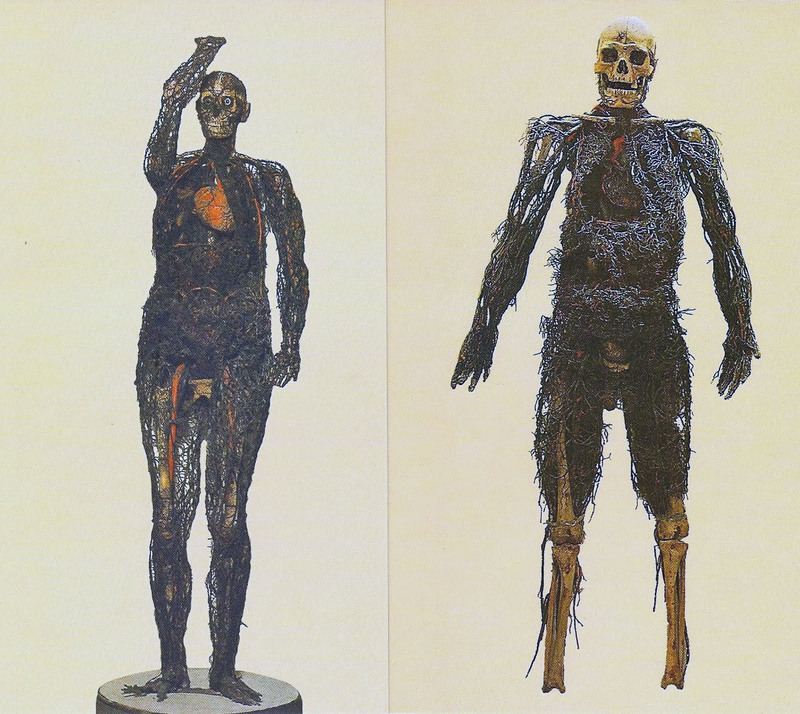 In 2002 he held a solo exhibition (titled ‘Big Man’) at the Hirshhorn Museum and Sculpture Garden in Washington. Subsequently, other exhibitions at the Museum of Contemporary Art in Sydney and National Gallery in London. Each work is the beginning of a story, a world introspective expressing an inner state. 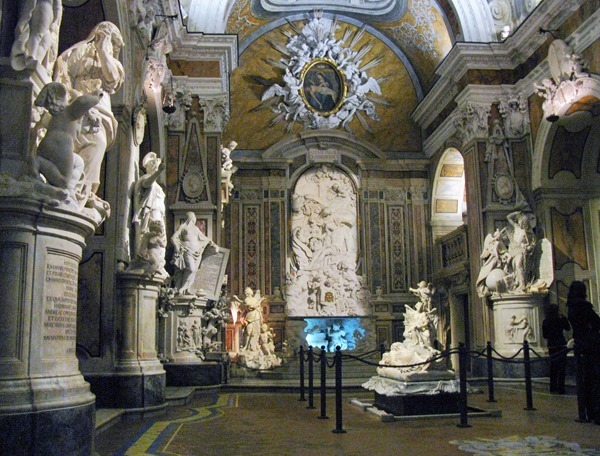 Needless to say, his works, seen up close, produce a unique emotional and psychological impact! Damien Hirst is an English artist who always makes headlines. Death is the central theme of his works and he is best known for a series of works in which some body of animals, such as tiger sharks, sheep and cows, are stuffed and soaked in formaldehyde. In April, at the “Tate Modern” gallery in London there has been his latest exhibition, the first retrospective with seventy works that retraced the thirty years of his career. And again was controversy with harsh attacks from the animal activists, because for the exhibition have been required about 9000 butterflies, sacrificed in the name of art. In fact, one of his installations was a huge heated room full of butterflies flying freely among the visitors. The work was titled “In and out of love” where on the canvases were attached pupae, from which sprang the butterflies, then free to move and feed among flowers, sugar and fruits. But many were trampled and killed, others injured when the visitors shook off them from their dresses. Result: each week 400 butterflies had to be replaced. Every year in many cities of the USA and Canada is held an international competition among engineers, architects, contractors and students who realizes (in team) the best “Canstruction“, the most spectacular and giant construction created with cans or small containers of food. The competition is called ‘NYC Design and Build competition’ and for humanitarian purposes as the necessary equipment is donated by the “Food Bank of New York City“, while all the cans and the proceeds of the exhibition is then donated to charity (via http://www.cityharvest.org). I do not know the year of participation of each work shown here, but they are among the most beautiful ones who participated in the various events which took place over several years in different locations. Everyone knows the famous “crop circles” that some people think are of extraterrestrial origin. Not so, however, for those that have appeared in the Alps a few days ago. They are, in fact, extraordinary drawings made on snow and ice by the artist Simon Beck. And do you know how they are made? To create them he utilizes only snowshoes (rackets) and his feet. This strange hobby started after a foot injury, and the athlete Simon had to settle for walking only. Then, his passion for geometric patterns and mathematical did the rest. Snow-art requires precision and above all patience, with many hours of work (from 5 to 9 hours). But despite this, the works may be short-lived because just a snowfall, rain or the sun can ruin them. Many are fascinated by Beck’s works, his page on facebook has thousands of fans and everyone is talking of the French Alps artist.